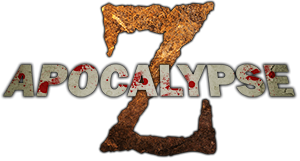 Apocalypse Z: An unexplained phenomenon has begun to make the locals act…peculiar. Reports of their behavior has caught the attention of the authorities and a special government team has been deployed to “study and contain” – “rescue” is not a mission priority. Contact with the team has now been lost and the worst is suspected. This state of the art attraction utilizes video, realism and Hollywood special effects. Can you avoid the contamination? Bloodmare Manor: Built in the early 1800’s, Bloodmare Manor is home to the notorious and diabolical Bloodmares, a family stained with a dark and sordid history. You are dared to come and witness the demented and disturbed Bloodmare Family in this Victorian manor of terror. On your journey, you will encounter the dark and gruesome mysteries of a family like no others. At each twist and turn you will face your biggest fears. Only the bravest will survive. Psycho Circus appears in a state of wild uproar and confusion and guests can expect nothing less from this attraction. This special 3D haunted house has custom illusions and crazed clowns that bring this madhouse to life. The sensory overload experienced in this attraction is sure to make it a crowd favorite. The Abandoned – It’s been told that the old farm house had been abandoned for at least a century, but eh local townspeople knew different. They knew that the the disappearances could not be a coincidence…they knew the desolate piece of property on the outskirts of town was responsible somehow. Though no one ever saw anyone at that old farmhouse. The townspeople knew THEY were there. They could feel them there…watching…always watching. Will you make it out without seeing THEM? Will you make it out alive? Monster Midway: The patrons experience starts in the Monster Midway where rather than waiting in large lines they can experience some of our ghoulish characters and enjoy various forms of entertainment. Our brand new midway will feature concessions, games, photo opportunities and entertainment.